After my "year off" because of breast cancer, I’m happy progressing new ideas and plans. 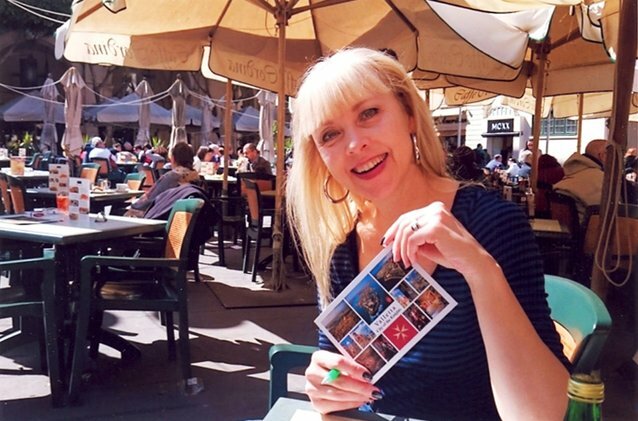 Top of my list is travelling - longer journeys and further afield. And finally I found the time to realize a dream I've had for a long time - writing entertaining short stories with topics that concern us all “Zoff im Medaillion” - which could be loosely translated as “Life & Strife in the Locket”. I have always been fascinated by the USA - especially the so-called Wild West. Here we are travelling through Arizona and New Mexico. The photographer whose shadow you see in the wine barrel is the world’s best travel companion! 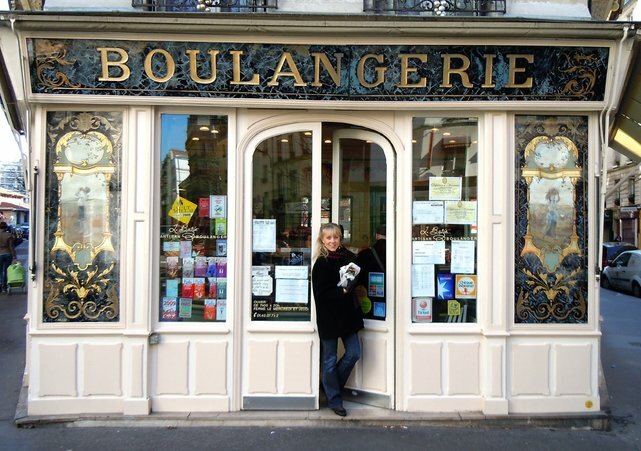 This authentic Boulangerie has been a popular daily stop for hungry Parisians for many decades. We usually get some croissants, tasty "tarts" or a fresh loaf of bread to sustain us during long days in the TV studios or else we just enjoy a good cup of coffee. The quaint little town of Digby in Nova Scotia, Eastern Canada was worth a trip. The same day a motorbike rally was taking place with over 3000 bikers arriving - including some lady bikers. The colourful little houses on the Venetian island of Burano are picture postcard stuff. Burano is one of many islands belonging to Venice and world-famous for its skilful lace production. However, it is less busy than larger Murano which attracts more visitors for its bright glass-blown jewellery, vases, souvenirs and chandeliers. The flair of these picturesque Northern Italian towns keeps calling me back for more visits like here in the middle of summer for my partner’s birthday. It was hotter than Bangkok! Scorchio…! Dog or dragon? China is a fascinating destination. This vast country has so many faces. We simply have to return soon to explore it in much more detail!!!! ​Gulf of Thailand. Who wouldn’t like time to stand still for a while.